Well, I have done my time at Hampton Court Flower Show and got the tired feet and muddy shoes to prove it. 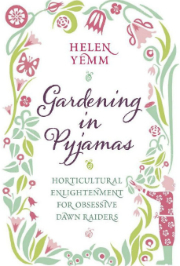 As usual I enjoyed it a lot, apart from that horrid washing line with saggy underwear planted up with bedding plants. What on earth….? And the ‘six wives of Henry VIII’ gardens were a bit beyond me, too. But overall, I enjoyed generally wafting around – taking the opportunity to chat to a lot of old friends in the trade. Was there a ‘buzz plant’ of the show? There usually is. One that certainly caught my eye was a pink and white stripey phlox (‘Peppermint Twist’ I think), even though pink is really not my thing. And I have been pacing around my garden again today wondering if I could offer a good home to a delicate stemmed, gloriously refined white Hydrangea ‘Annabelle’ that was looking stunning everywhere at the show. I do it every year… and every year decide, sadly, that I can’t. Thanks to all the smiley people who came to the Telegraph Gardening Theatre, asked questions, and particularly to those who came up afterwards and said kind things about my weekly Telegraph column. Actually I got a lot of friendly vibes all day. It never ceases to amaze me how many people recognize me on such occasions and come up and say hello. It is really gratifying. Next stop, Parham House Garden Weekend. On Saturday (11th July) I shall be doing an informal Q and A session with the RHS’s Jim ‘Britain in Bloom’ Buttress. (Parham House is at Storrington, near Pulborough, West Sussex, RH20 4HS – 01903 742 021 – www.parhaminsussex.co.uk ). This entry was posted on Thursday, July 9th, 2009 at 11:10 pm and is filed under Musings. You can follow any responses to this entry through the RSS 2.0 feed. You can leave a response, or trackback from your own site. I also enjoyed my day at Hampton Court on Wednesday and particularly found the Question and Answers in the Telegraph gardening Theatre of interest. My question about a suffering Robinia Frisia was answered very helpfuly. The tree was planted by my husband at a time when I was in poor health and I do remember thinking he had planted a bit too deeply although at that time could not face an argument. Sure enough I have checked and scrapped away much soil from a rather damp trunk, so as there are some healthy leaves still on the main trunk it may survive yet. It is currently sporting a John Huxtable clematis so is not unattractive nor smothered by the clematis. 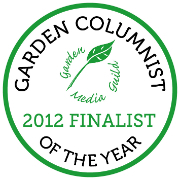 I look forward to more pearls of wisdom in your gardening column but also on your blog. I have to agree with you about the saggy underwear on the washing line ! By Sunday it was looking particularly disturbing – such dirty linen should not be aired in public….. I was reading Stephanie Donaldson’s comments on her blog about the absence of cutting edge garden design at this years show. Do you think such gardens are out of fashion ?